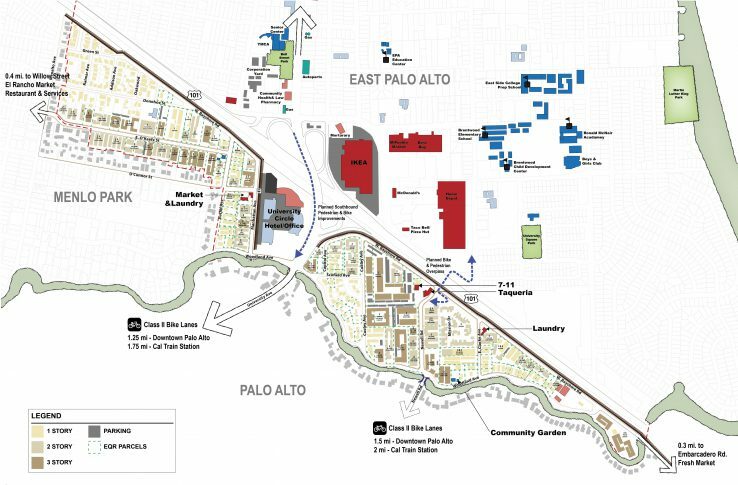 VMWP’s work on the East Palo Alto General Plan includes urban design and housing direction and the development of the Westside Community Plan for the area of East Palo Alto west of US-101. 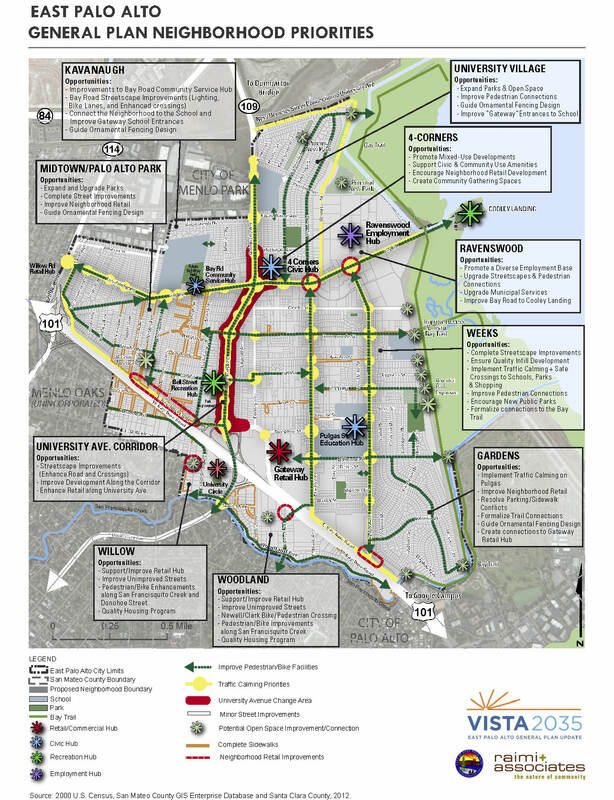 The Urban Design chapter of the General Plan will focus on strengthening the residential neighborhoods through revitalization of neighborhood hubs, traffic calming, improved infrastructure, and safer connections. The Westside neighborhoods house 94% of the multifamily housing stock in East Palo Alto and 75% of that is owned by a single land owner. 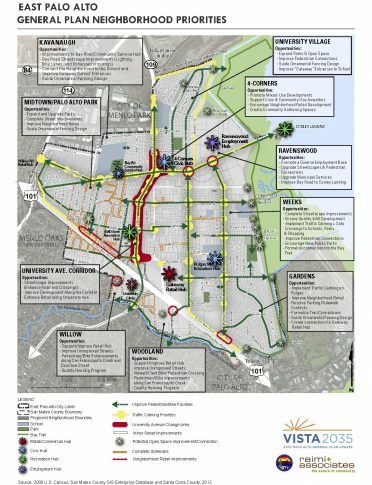 The keys to the success of the Westside Community Plan and the General Plan will be to allow for increase development while retaining and enhancing affordable housing throughout the city. 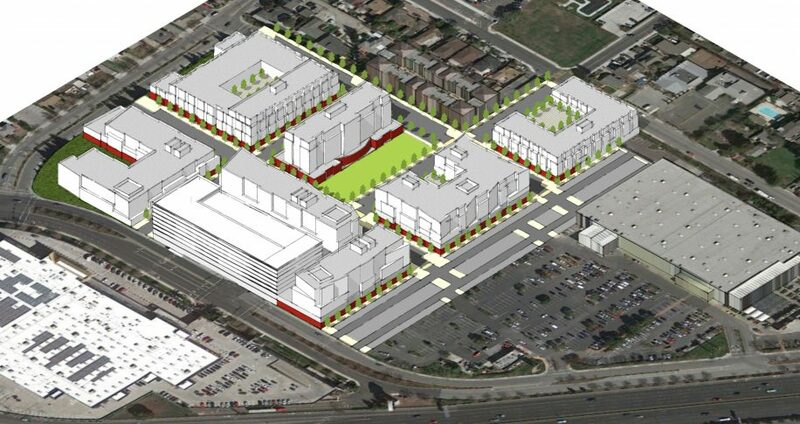 To create an implementable urban design framework plan for the City of East Palo Alto and to develop a Westside Community Plan that will enhance the livability of the neighborhood while maintaining current residents and increasing housing affordability.